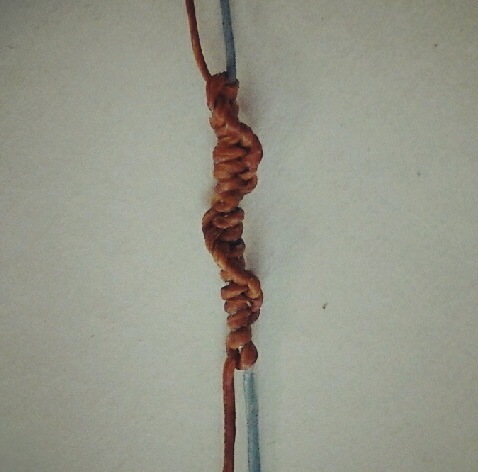 This is 3 basic macrame knot that I usually make jewelry and stone wrapping, I learn to do these basic knot both from my experiences, from my friend sharing and on the website.It's easy and can be adapt to fit many patterns. The problem that you will face when you start learning to knot is "will it be under or over next" or " will it be left or right". No worries, Just practice it again and again with the same pattern and you will find your own way to remember and become more familiar with. 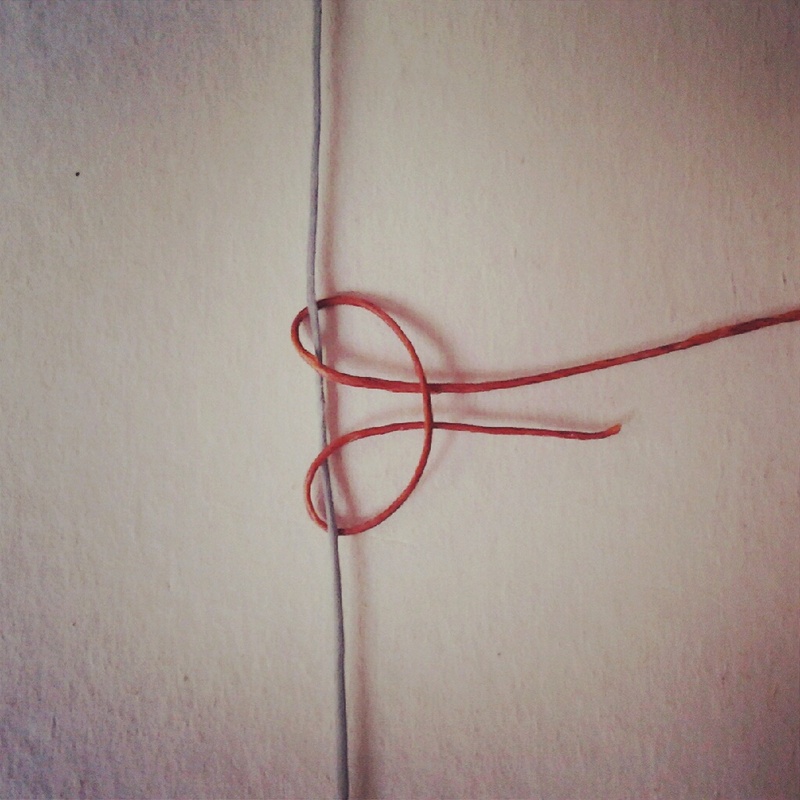 For example, when I make the knot I always start with left side, and over before under. 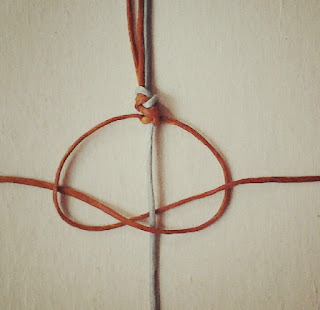 After you learn and practice these basic knots , you will understand the patterns in my other projects. a Half Hitch is tied by passing the working cord over, and then under, the holding cord. Make sure it passes over the working cord as you bring it to the right. 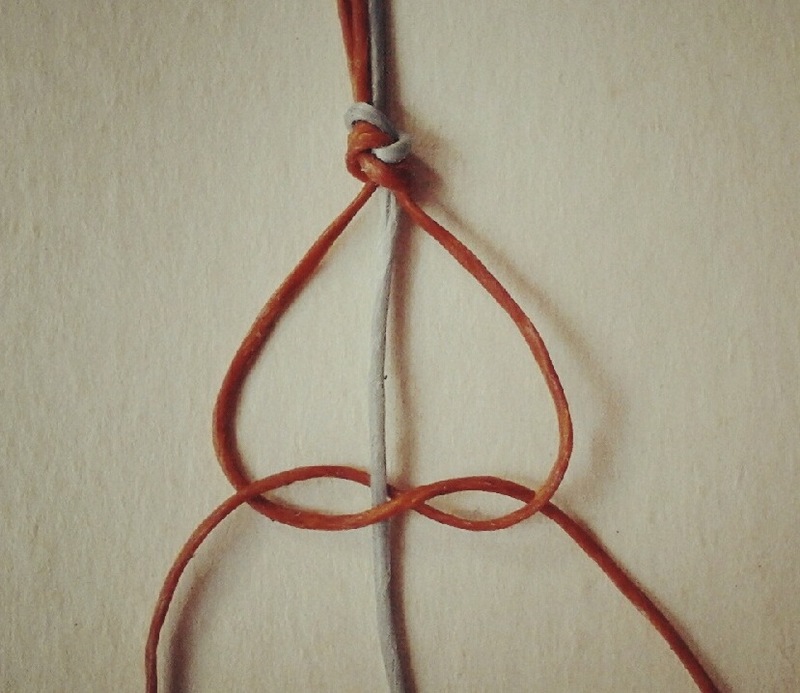 Just Repeat this same process of Half Hitch knot over and over. Push up on the knots as you progress, so they are close together. 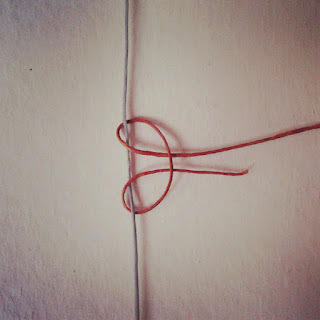 You can use one or more holding cords (grey strand)depend on how big the knot you like , then secured to your board horizontally. 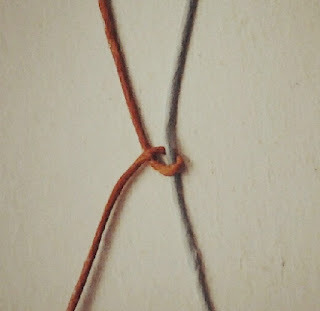 There are 2 way to make this knot. 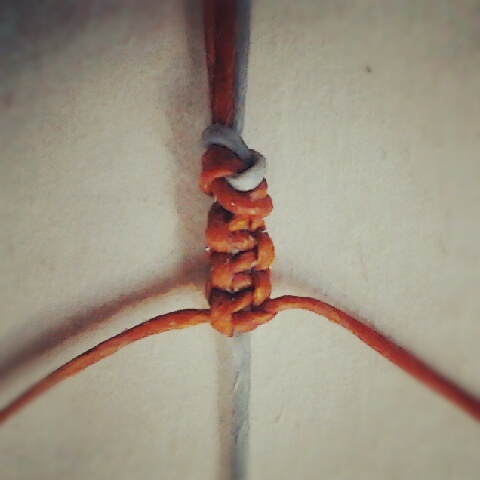 1: Fold working cord ( brown strand) and place it under the holding cords. The fold should be at the bottom and the ends at the top. 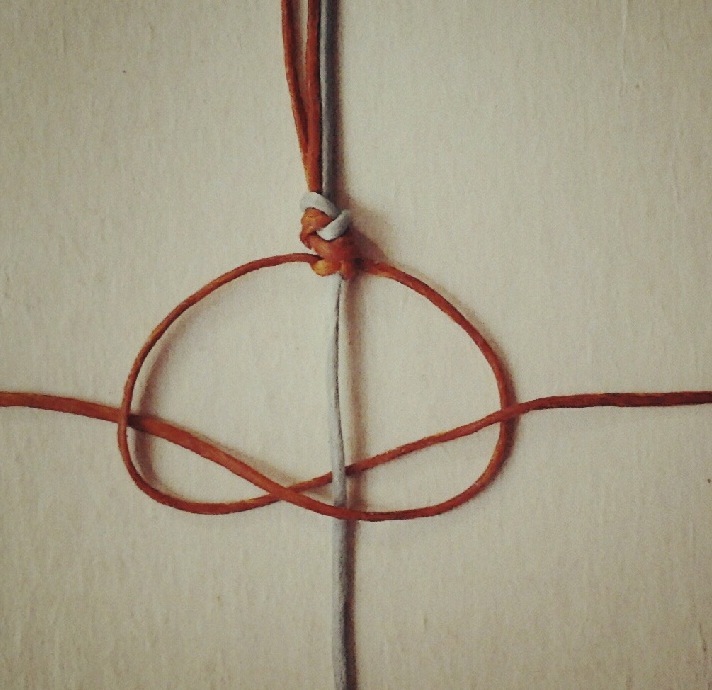 2: Bring both ends over the holding cords, heading downward.Pass them under the folded area, pulling them firmly. passing the working cord over, and then under, the holding cord. Make sure it passes over the working cord as you bring it to the right. 2. passing the working cord under, and then over, the holding cord. Make sure it passes under the working cord as you bring it to the right. 1. secure 3 cords to a project board or table surface. 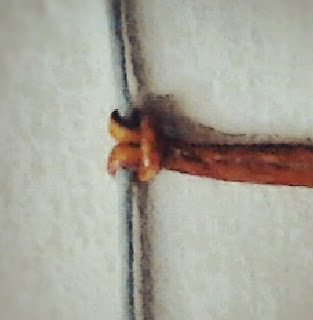 In the images, the working cords are brown, and the grey cords are the fillers. In Macrame patterns they are usually tied with more than two cords of filler. 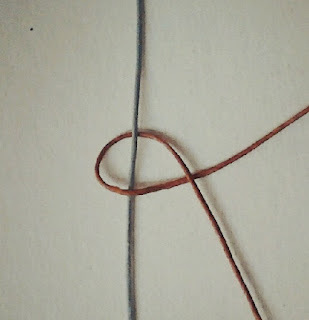 Use the left working cord and curve it over both filler cords, heading right. Direct the right working cord over the left. Pass it under the two filler cords and out through the space on the left. 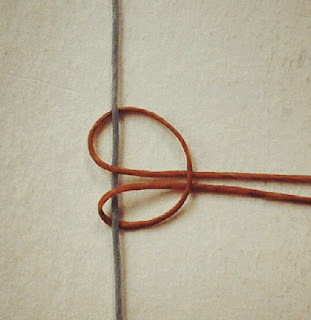 You just completed the first half of the Square Knot, which is sometimes called a "Half Knot". 2. Tighten the first half of the knot. Next, take the working cord that's now on the right and curve it over the fillers, heading left. 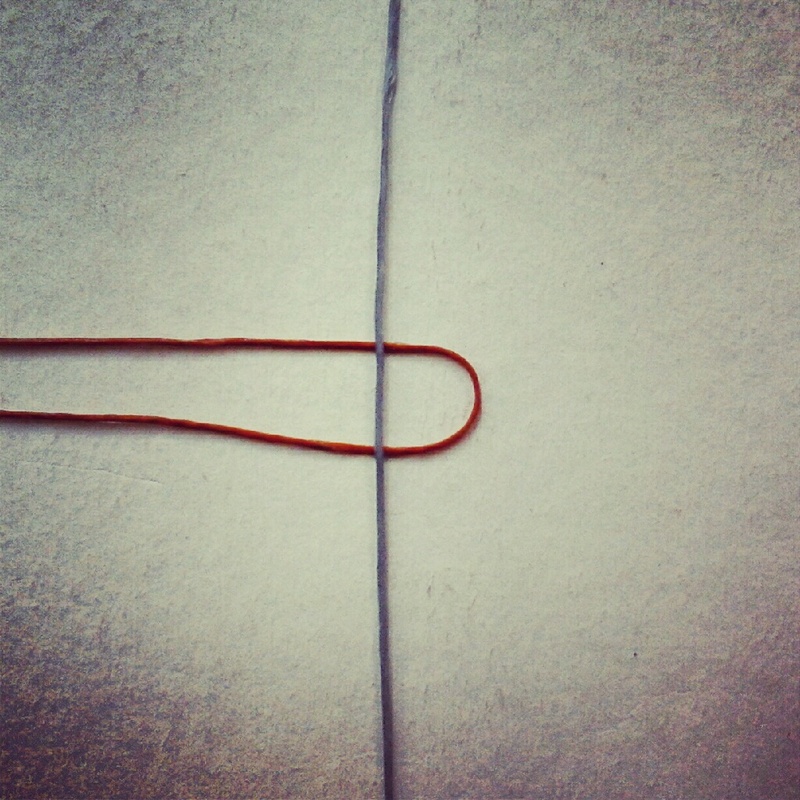 Take the left working cord and pass it over the right one, under the fillers, and out through the space on the right. Tighten the Square Knot by pulling on the ends. That was so easy to make but it take a long of time to complete the whole thing in art.